Due to the varying wavelengths of light, each colour has its own particular wavelength and energy. The seven colours and their wavelengths resonate with the seven chakras of the body. 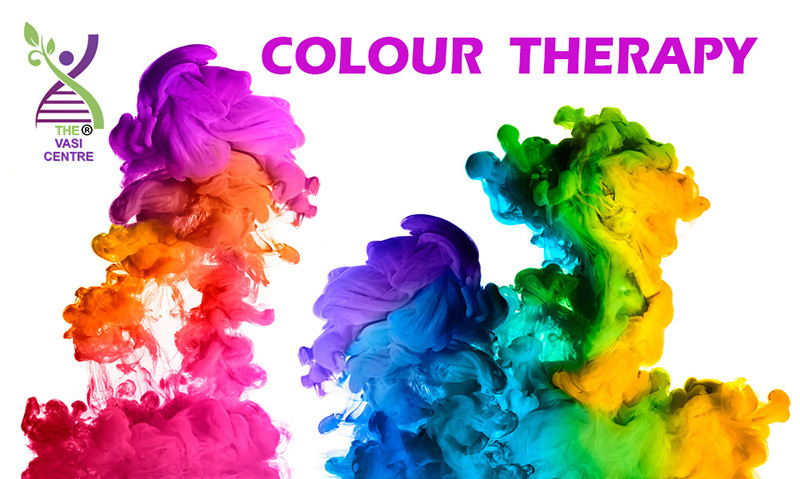 Colour therapy works by balancing or stimulating the chakras and therefore their energies. Solarized water: this is done by placing the required coloured light filter around a glass with an elastic band. The glass in then filled up with pure still mineral or spring water and then covered over with some cotton fabric. The glass should be placed on a window sill in the sun for a couple of hours. It can then be drunk. Purple, being a mixture of red and blue is both stimulating and calming, making this colour useful for creativity. Light purple results in a peaceful surrounding. Blue is another cooling colour. Often utilized in high traffic rooms, it decreases respiration and lowers blood pressure. Green is scientifically proven to be a calming, less stressful colour due to the fact that the eye focuses green directly on the retina, making it less stressful on your eye muscles. Orange and yellow are often useful in energizing people, and increasing appetite. Red is the most stimulating colour, often being overly energizing and increasing one’s heart rate and adrenaline.